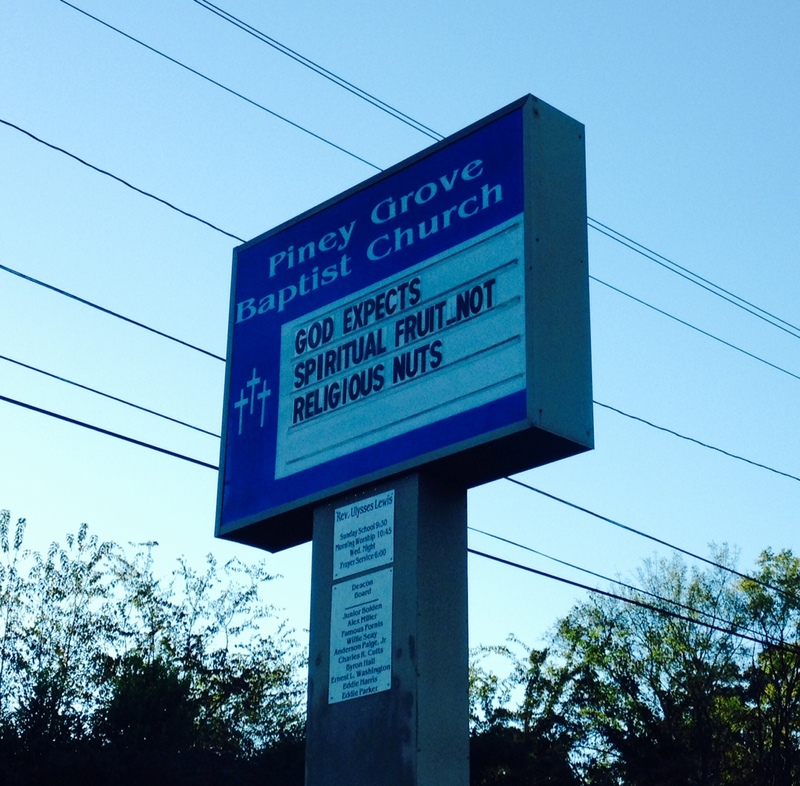 If only scholars of religion understood what the good people of Piney Grove Baptist Church apparently do: the words “spiritual” and “religious” refer to nothing but each other, making them handy rhetorical terms that help to create/legitimize conditions of affinity and estrangement. So my advice is to go re-read your Durkheim — god-talk is group-talk — and quit trying to figure out the trick to defining each of these words in the right way, as if one names something in the world that’s uniquely different from what the other names. Instead, start seeing them as rather less ethereal than many do, as equivalent to kids in the schoolyard sorting out issues of rank and place by calling each other names — all-purpose names that, sooner or later, bounce off me and stick to you.